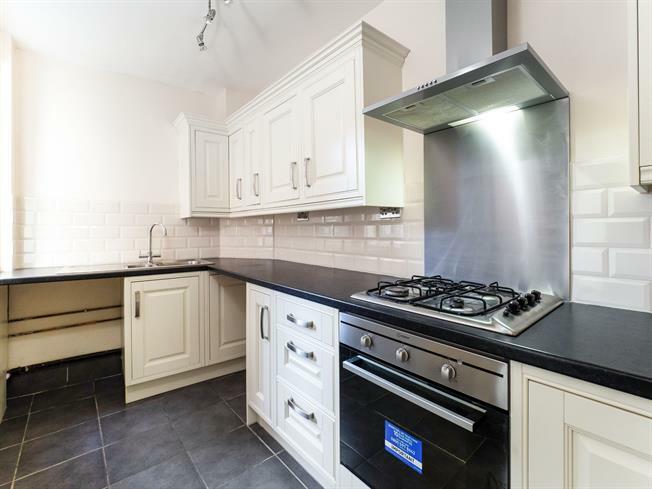 4 Bedroom Terraced House For Sale in Nottingham for Guide Price £160,000. Situated on quiet terraced street just off the Sherwood high street this deceivingly spacious home. Offering accommodation over three floors their is room for all the family. In brief the accommodation comprises; Hallway, Lounge, Kitchen/ Diner. To the first floor are two double bedrooms and the family bathroom. A further two double bedrooms are found on the top floor. Additionally the property benefits from a south facing rear court yard with brick storage shed to the rear , three compartment cellar and on-street permit parking. Double glazed uPVC window facing the rear. Radiator, tiled flooring, ceiling light. UPVC back double glazed door. Double glazed uPVC window facing the rear. Tiled flooring, ceiling light. Roll edge work surface, fitted and wall and base units, stainless steel sink and one and a half bowl sink, integrated, electric oven, integrated, gas hob, over hob extractor, space for washer dryer. Double glazed uPVC window facing the front. Radiator, carpeted flooring, chimney breast, ceiling light. Double glazed uPVC window with obscure glass facing the rear. Radiator, tiled flooring, ceiling light. Low level WC, panelled bath, shower over bath and electric shower, pedestal sink, extractor fan. Double glazed hardwood skylight window facing the rear. Radiator, carpeted flooring, a built-in wardrobe, ceiling light.